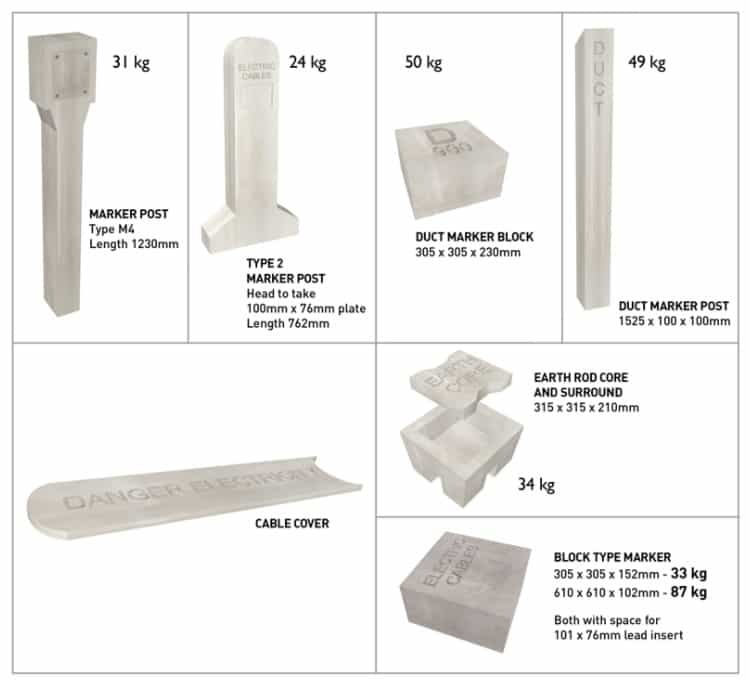 Concrete cable covers are installed extensively throughout the utility industries providing cable protection and a warning to site personnel working or excavating in close proximity to underground pipes and electrical cables. Concrete protection cable covers act as a physical barrier against accidental damage to buried low and high voltage cables eliminating costly repairs and jointing – can also be used to locate and identify other underground services. Concrete cable marker posts identify the exact location of underground utility services, including low (LV) and high (HV) voltage power cables – this includes 600/1000 volt, 6.6kV, 11kV, 33kV, 66kV and 132kV cable service identification. 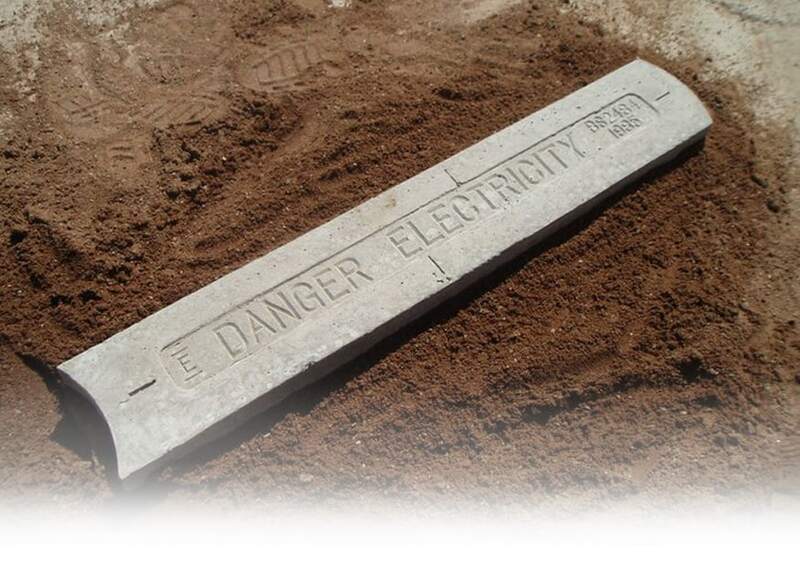 Cable protection covers are reinforced precast concrete units manufactured and tested to BS 2484 specifications and are imprinted as standard with the indented lettering warning legend DANGER ELECTRICITY which are available in three different sizes and the internationally recognised Danger Sign. Anderton range of concrete cable covers and marker posts identify the exact location of buried utility services acting as a warning against accidental damage and help to reduce expensive 06 search costs – indicating the local presence of fire hydrants, water and gas valves, electric cable junctions and field markers. Standard sizes available as shown below (please refer to the above images). On request we can also supply a variety of wording options such as PROPANE LINE, GAS, OIL, FIBRE-OPTIC CABLE, WATER, TELEPHONE, etc.